It’s the beginning of the year and a lot of people are thinking about starting an exercise program. 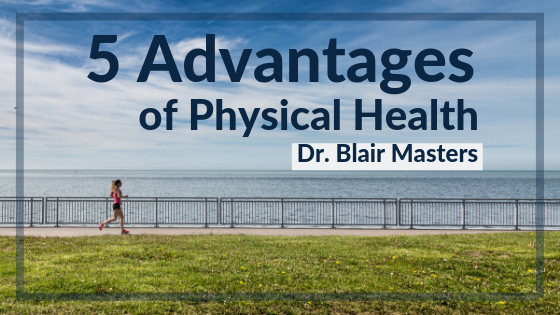 The advantages of exercise and physical activity are many and the more it is studied the more the benefits become apparent. Physical activity is not only for losing weight but to invigorate the body to get rid of stress and depression that can harm the mind and body. Physical activity has been proven to be far more effective in stress management as compared to medications. 1. Cardio: The heart is strengthened by physical activity and thus lowering the risk of heart conditions due to stress including stroke, hypertension, and heart failure. Exercise keeps the heart pumping normally and improves the circulation of blood in the body. 2. Emotional Release: Physical activity serves as an outlet to release pent up anger, stress, and a whole lot of negative feelings. It is also used to treat depression. 3. Tranquility of Mind and Spirit: Exercise can also be meditative for a lot of people. The repetition and rhythm of the movements is therapy in itself. 4. Deep and Sound Sleep: Increased physical activity results in having the body sleep easier and deeper. The body becomes fully rested and capable of healing which is a good sign in stress management. 5. Relaxation of Tense Muscles: Exercise can also reduce stress in the body that causes migraines, back and joint pains. These benefits can be had for only a quarter of an hour each day. Alternatively you could exercise longer period three times per week. Exercise does not only mean following the steps of an aerobic tape, although this is a great form of exercise. It can be a brisk walk around your neighborhood or stretching exercises at your back yard. Swimming, running, dancing, Zumba, lifting weights, there is no end to the kinds of exercise you can do. The most important thing is that you do it. It would help to involve your family and friends which will not only help them physically but keep you motivated to keep on going. Or exercise may also be a way for you to pamper yourself more and meditate. There are a lot of possibilities. It is up to you to choose. If you have been putting off an exercise program for any reason, give us a call. Maybe it’s that you're too tired, your knees hurt, your back hurts or any number of other things. Whatever your reason for not exercising, give us a call at 479-443-0800. We can help get you on track.